Here at TMS, we’ve been a big fan of Deuter Backpacks for a long time, but their new winter ski and snowboard pack line has really stepped things up for this winter. The new Freerider Pro 30 and Freerider Pro 28 SL are his and hers top of the line backcountry skiing and snowboarding packs. They combine the high quality and durability that characterize all Deuter packs with a set of features that are sure please even the most picky backountry old timer. 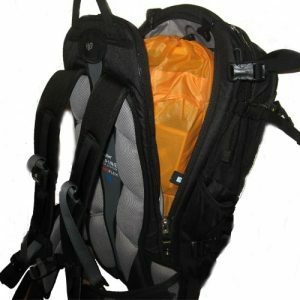 The packs feature 28 and 30 liter capacities, just the right size for all the essentials for a day in the backcountry. With ample options for attaching gear to the outside of the packs, these also work great for a light overnight or hut trip. 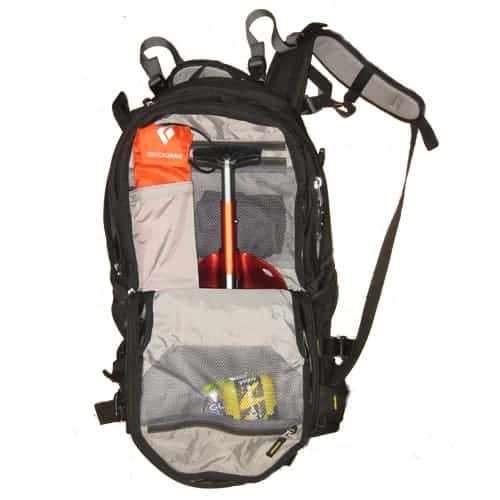 Inside the pack, there is a front pocket that keeps your shovel, probe, and other backcountry safety gear organized and easy to access. Next is the main pocket which features a sleeve for your Streamer Hydration Reservoir and full back access through a zipper that runs 180 degrees around the outside of the back panel. 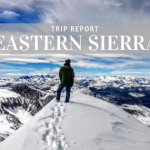 This allows you easy access to your gear even with skis or a snowboard attached to the front of the pack, and keeps the back panel and shoulder harness out of the snow while you’re looking for your gear. The Freerider Pro also features a fleece lined pocket for goggles or other small essentials and stuff pockets on the sides for a few energy bars or a small water bottle. The great features carry over to the outside of the pack as well. It can carry skis both diagonally and a-frame style as well as carry a snowboard vertically. 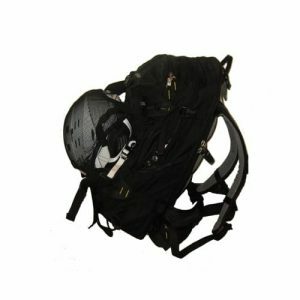 It also features attachment points for trekking poles, ice tools, or a mountaineering axe. Another great feature is the great removable helmet holding system. Another bonus is that the front of the pack is made almost entirely of extremely durable hypalon, so none of this gear attached to the outside is going to scuff or damage the pack. 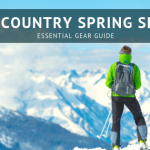 All of these features are tied together with Deuter’s tried and true Alpine Back System and Vari-flex waist belt that moves with your body for a more comfortable fit. 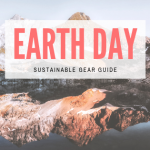 The hip belt has a great pocket on one side that can fit a small camera or a few energy bars and a gear loop on the other for essential climbing gear. All of these features add up to an overall package that is one of the most appealing backcountry daypacks on the market. The Freerider Pro 28SL has all of the great features of the Pro 30, with a slightly smaller capacity and SL fit tailored for a woman. While these two are the standouts of the Deuter Winter Line, they are not alone. 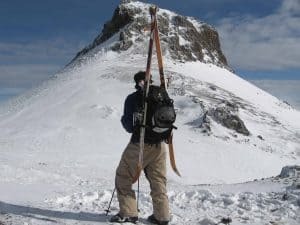 There is the Freerider 26 for someone looking for similar features to the Freerider Pro 30 in a smaller and less expensive package and the Guide Series for someone looking for a pack more suited to winter climbing and mountaineering. Finally the classic Cruise 30 and Cruise 28SL are perfect for the skier looking for a timeless top loading style backcountry daypack. Check out our video below for a quick walk through of the Freerider Pro 30 in action in the Tahoe Backcountry.